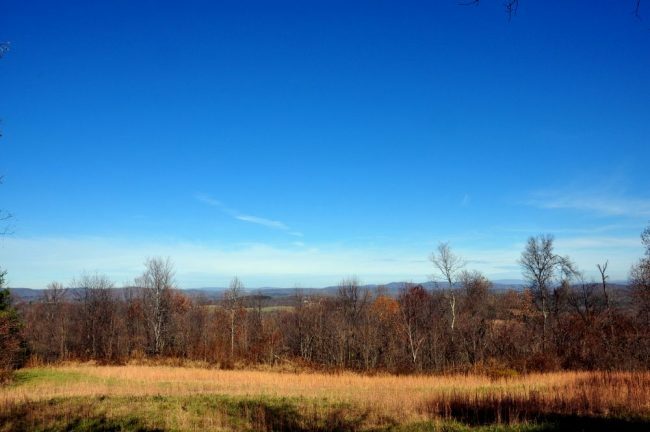 Roundbottom Farm East is an approximately 112 +/- acre multiple use property located in Mercer County West Virginia. 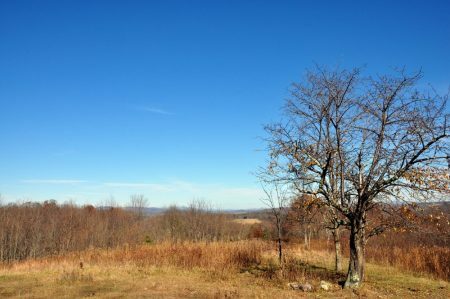 The farm offers gorgeous long-range views and multiple building sites. The mighty New River is just a 15-minute walk from the property. The farm is well suited for raising horses, cattle and sheep. Mature timber and abundant wildlife make for an idyllic country setting. The small town of Athens, which is home to Concord University, is just 20 minutes away. Princeton, the Mercer County seat, is 30 minutes’ drive. In Princeton, you will find banking, excellent healthcare facilities, pharmacies, big box stores galore, grocery shopping and great restaurants. Four-lane Route 460 at Glen Lyn, Virginia is a 15-minute drive and I-77 @ Princeton is just 30 minutes. The Charleston Airport is located just 90 miles away and is served by most major airlines. The world-famous Greenbrier Resort is about 1-hour drive and Winterplace Ski Resort is just 45 minutes’ drive. Roundbottom Farm East is located in Mercer County, West Virginia, about 20 minutes east of Athens, WV and 15 minutes northwest of Glen Lyn, VA and 20 minutes to Princeton. Elevation of the farm ranges from 1863’ on the western boundary to 1863’ at the terminus of Roundbottom Creek on the eastern boundary. Roundbottom Farm East contains approximately 112 acres of gently rolling meadow, hay field, pasture, woodlots and garden area. Past farming history included cattle and sheep grazing in the pasture area and the production of hay in the upper hayfield. Much of the hay land would be suitable for growing corn or other grain crops. The soils and elevation would be well suited for establishing a vineyard or fruit orchard. 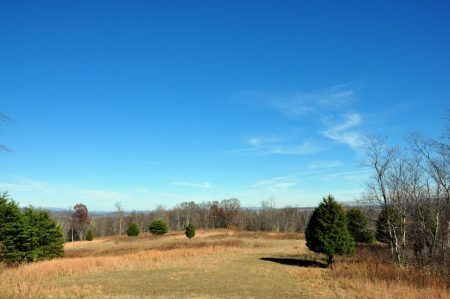 There is only about 260 feet in elevation change across the property from the eastern to western boundary. The fencing is spotty in most areas of the farm and would need to be improved before turning in livestock. Roundbottom Farm East has about 100 acres growing in a very beautiful forest. Some of the trees are very old, dating back to the 1800’s. 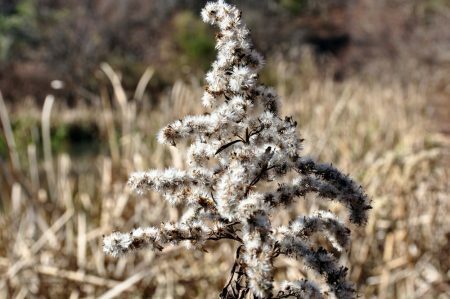 A portion of the woodland was selectively thinned many years ago and several areas have not had any harvesting activity for over 50 years. Several large hickory, white oak and red oak produce an abundant crop of nuts and acorns in the Fall which the deer and turkey enjoy. Some of the species found on the property are Black Walnut, White Oak, Tulip Poplar, Red Oak, Sugar Maple, Hickory, Sycamore and Ash. No forest pests such as Gypsy Moth or Emerald Ash Borer have been found on the property. The farm is home to a wide array of wildlife which includes a variety of song birds, owls, hawks, woodpeckers, ravens and wild turkeys. White tailed deer, raccoon, opossums, rabbits, chipmunks, coyotes and bobcats may be seen on a regular basis. 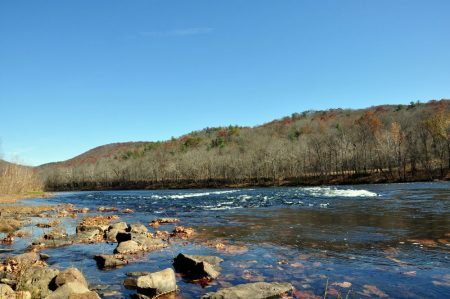 Public access to the River Road Scenic Area on the New River is just a 15-minute walk about 1 mile east of the property. 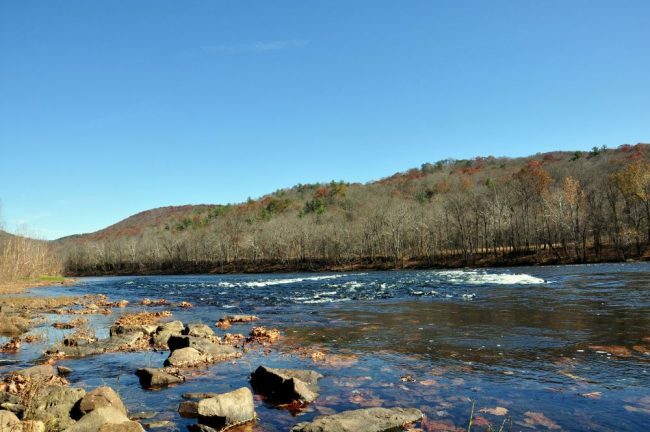 This is a breathtaking section of the river at one of its widest points, with rapids creating the rushing sound so identifiable with the historic New River. This section of the river is also the tailwaters of the 2000-acre Bluestone Lake. 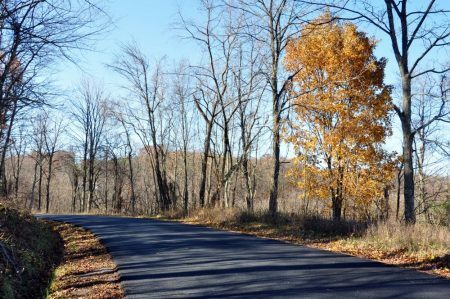 Access to the property is excellent and is served by a year-round, state maintained paved highway. 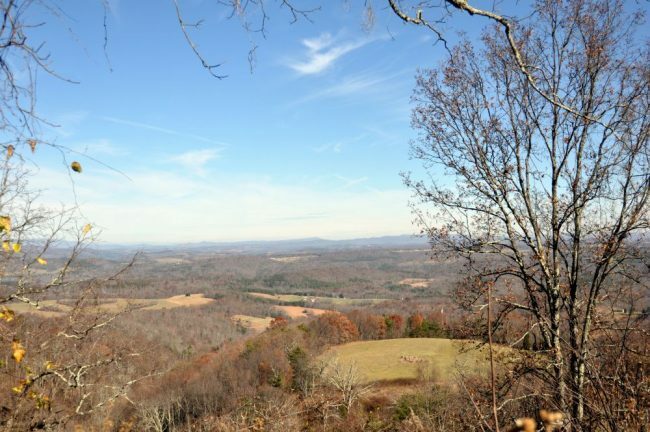 The property fronts the Round Bottom – Chestnut Knob Road for 4/10 mile. Public school buses run daily when school is in session. There is not a current survey for the property. The deed calls for approximately 280 acres being contained in the boundary for the whole farm of which this property is a portion. A boundary survey will have to be performed to separate this sale portion from the whole farm, which will determine the exact acreage being sold. The property is being sold by the boundary and not by the acre. 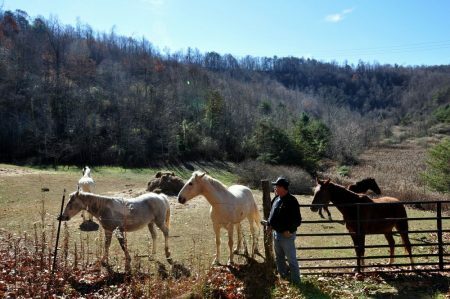 The property is bounded by the powerline right-of-way, old fence in various stages of repair, field edges, creek, and county road. Some of the property lines in the woodlands do not have any demarcation. The Marcellus Shale may underlay the property. The east coast Marcellus Shale Region is thought to contain enough natural gas to power the United States for over 100 years. Currently the oil and gas rights are not leased. All mineral rights the seller owns will transfer to the purchaser at closing. All prospective purchasers are encouraged to have an attorney do a title search prior to purchasing. There are no known coal reserves underlying the property. There is electric and phone service on the property. Public water, sewer or cable are not available at this time. There is currently no county zoning in this area of Mercer County. All prospective purchasers are encouraged to contact the Mercer County Health Department for answers regarding installation of septic systems and water wells. Further information on county zoning may be answered by contacting the Mercer County commissioner’s at mercercocommission@frontier.net. Taxes for 2017 were assessed in the amount of $1487.13 for all three tax parcels of the whole large farm. Roundbottom Farm East is comprised of portions from each tax parcel. Deed Book 795, Page 60 in the County of Mercer (28) further described as being in the Plymouth District (9), and is comprised of portions of Tax Map 20 Parcels 34 & 35 and a portion of Tax Map 26 Parcel 17. 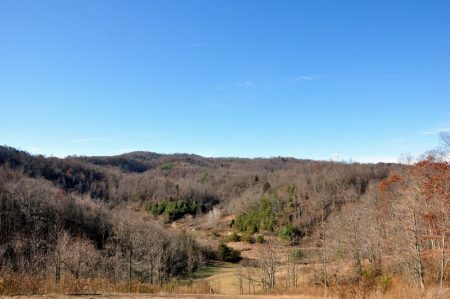 The property being sold lays to the north and west of Round Bottom – Chestnut Knob Road and to the east of Whitt Hill Road and does not include the land on the side of the road where the Morton’s home is located. From Athens, travel Vermillion Street past Concord University and this will turn into Red Sulphur Turnpike. Continue on the Red Sulphur Turnpike for 4.7 miles (passing through Pettry at 1.5 miles). Take a right (still Red Sulphur Turnpike) and travel 1 mile to a “T” intersection. 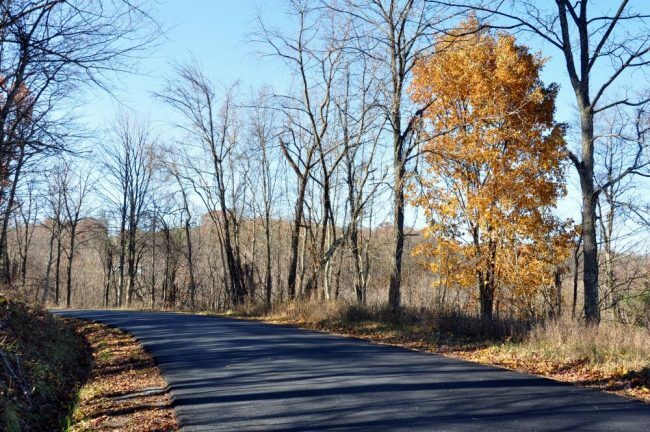 Take a left on Island Creek Road for 4 miles to the place where Green Springs Hilltop Road (Whitt Hill Road) is on the right, but continue to travel ahead for another 2.6 miles to Round Bottom – Chestnut Knoll Road RT 22 at Lovern. Continue to the right onto Round Bottom – Chestnut Knoll Road and travel an additional 7/10 mile. The property is on the right and continues on the right to the powerline right-of-way.